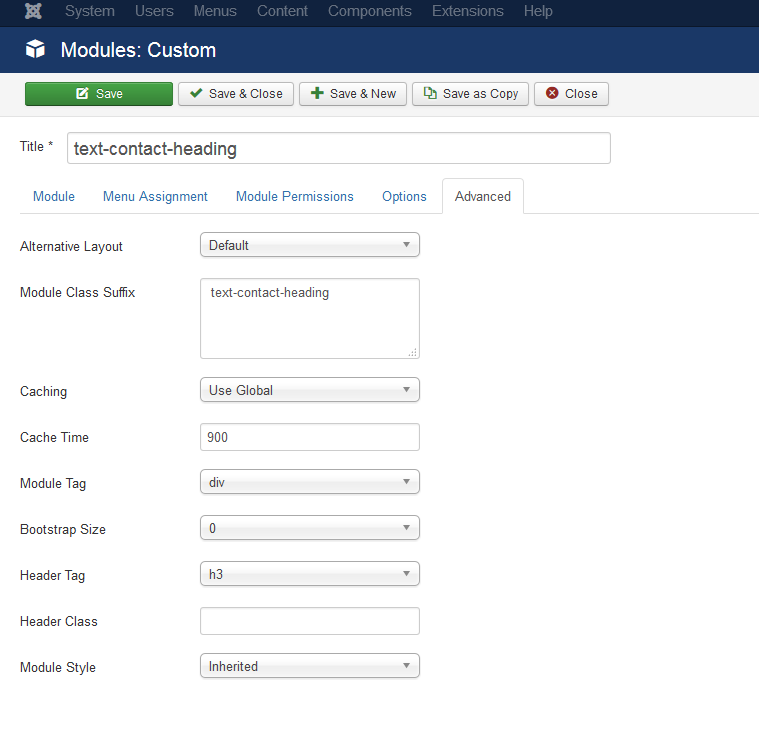 i am developing an web site in Joomla, and i wolud like adding a css class to my custom module. Specifically to an h3 tag. But when i have wrotten the css class into the form input field in the Advanced Tab and i save this change, it isn't registered and consecuently this change isn't displayed into the browser. How i could to solve this problem? in the HTML code of the website. There is a simple trick however - just add a whitespace before class name in Module Class Suffix field. In module's /tmpl/default.php (or any other layout). Not the answer you're looking for? Browse other questions tagged joomla-3.5 custom-module module-style or ask your own question.